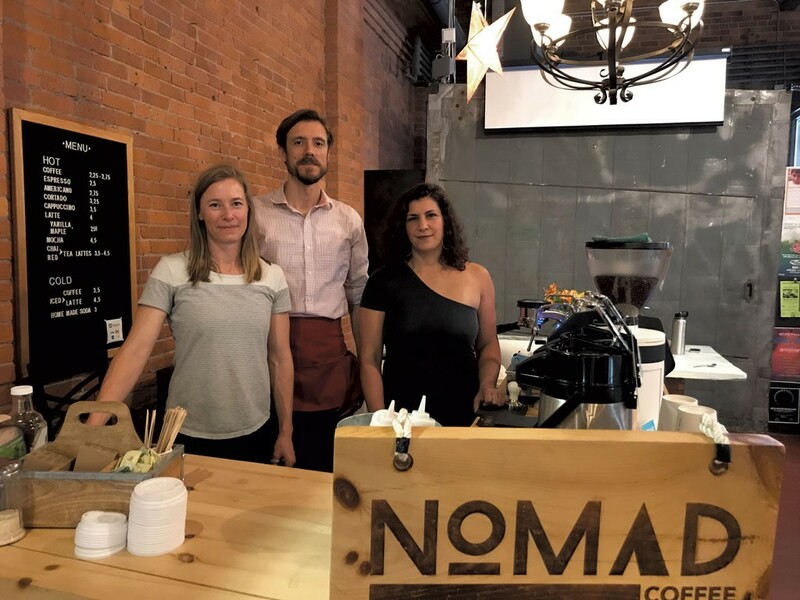 Nomad Coffee, a mobile coffee shop that opened two years ago in Essex Junction, has a new outpost at 208 Flynn Avenue in Burlington. Nomad Coffee — South End Station opened last week in the space that previously housed a branch of Williston-based Chef's Corner. The new Nomad will expand on the coffee, tea and espresso drinks available in Essex with a breakfast-and-lunch menu conceived and prepared by Suzanne Podhaizer, a former Seven Days food writer who was chef-owner of Salt Café in Montpelier for five years. Her seasonal menu will feature local ingredients and incorporate the cuisine of countries where the beans Nomad uses are grown. "I think it will be a fun way to help educate people that [coffee] is an agricultural product," said Andrew Sepic, who owns Nomad with his wife, Nicole Grinstead. "We're going to cycle these [menu] items in based on the arrival of new beans." The morning menu will include breakfast sandwiches, smoothies, and baked goods such as smoked-salmon-herbed scones, beef-jerky-cheddar scones and sweet scones with Podhaizer's housemade raspberry jam. For lunch, grain bowls, salads and soups will come with seasonal ingredients, Podhaizer said. For example, braised brisket with caramelized onion could be served on rice, on salad greens or in broth. Sandwich options will include a vegan creation of mushroom-and-garlic purée with roasted cherry tomatoes and wilted greens; and chicken salad with housemade mayo, sautéed pea shoots, caramelized apples and cheddar cheese. "I'm really excited to take the flavor profiles and style that I developed at Salt and apply it to a different kind of food," Podhaizer said. While the café is under renovation, Nomad Coffee — South End Station is serving from a mobile coffee bar; offerings there include sodas crafted with housemade syrups such as plum-ginger and strawberry-lime-basil. Food service will start by the end of July, Sepic said. "We felt like we can take on this space and start a food program and do it to match the quality of the drinks," he added. Nomad Coffee — South End Station is open weekdays from 7 a.m. to 3 p.m. The Essex Junction shop, open daily, will move to Sugarbush Resort for the ski season. The original print version of this article was headlined "Putting Down Roots"